Edward W. Pearson Sr (born January 25, 1872 in Glen Alpine, Burke County), a veteran Spanish-American War, moved to Asheville in the summer of 1906 and became a leader in the Burton Street and West Asheville community. 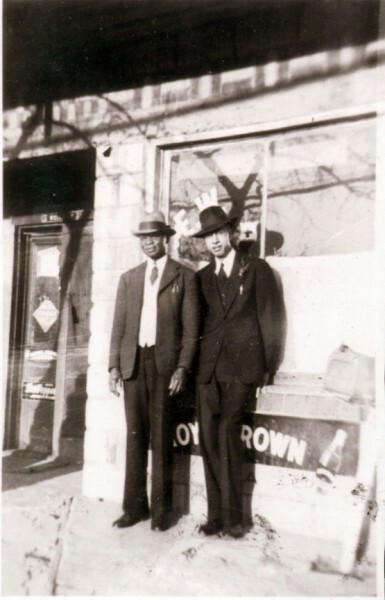 Edward W. Pearson Sr., standing in front of his store with Clifford W. Cotton Sr. The store was located at 3 Buffalo Street in West Asheville. 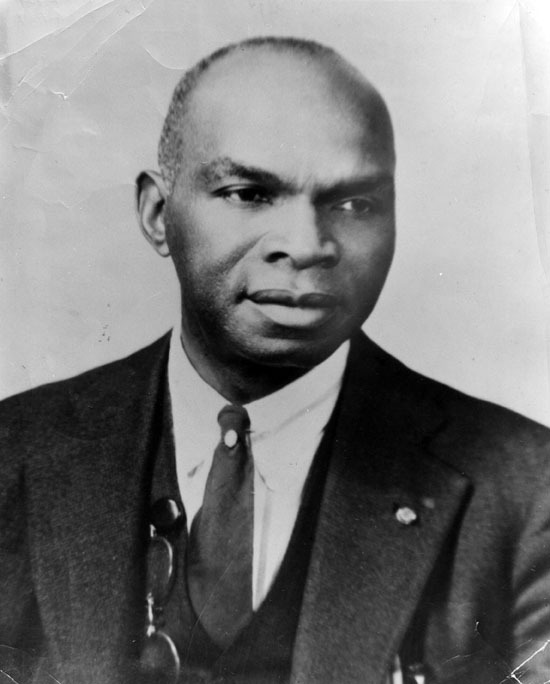 His son, E. W. Pearson Jr, ran a music club (Blue Note Casino) at that address after his father died. In Western North Carolina in the early 20th century, African Americans could not participate in existing agricultural fairs so in Fall of 1913 E.W. Pearson founded the Buncombe County and District Agricultural Fair. The fair was held at Pearson Park, in the Burton Street neighborhood for the first few years, then moved and expanded to the Logan Show Grounds on Craven Street. The fair ran annually until 1947, a year after E.W. Pearson’s death on July 4, 1946. E.W. Pearson was a true neighborhood hero and important business man in early West Asheville. His dedication to the community can be seen through his extensive accomplishments.